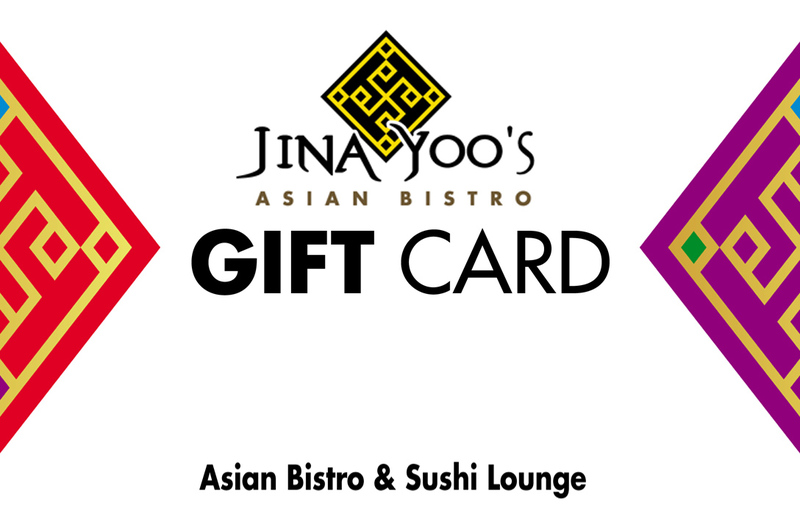 Celebrate Happy Hour at Jina Yoo’s on weeknights from 5 to 6:30 with our unique drink and appetizer specials! Looking for somewhere to host your next meeting or private party? Our refined atmosphere and exclusive menu makes Jina Yoo’s the perfect place! With space for up to 32-36 guests, we can accommodate a small family gathering or a large party. Join us for one of our monthly sushi making classes. Sign up to receive lessons on making sushi with Jina Yoo herself. By the end of the class, you will be able to make your own sushi at home! Grab a giftcard for someone special today!